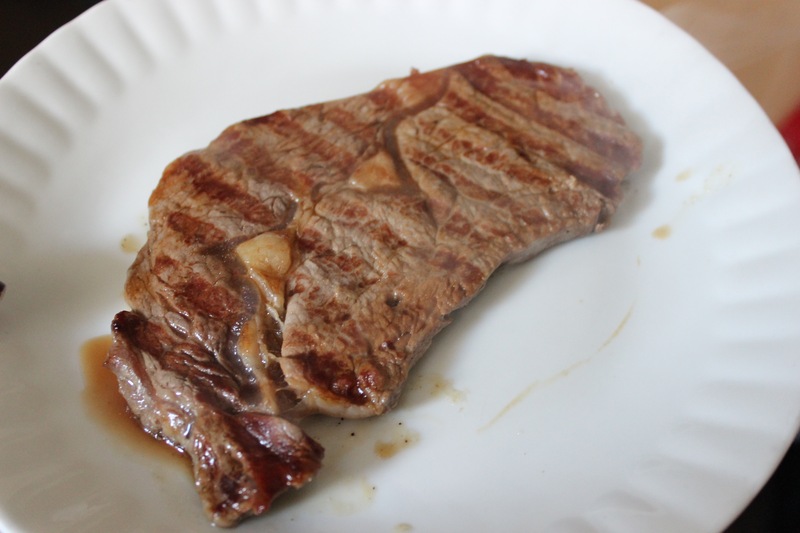 Do you like it rare, medium or well done? 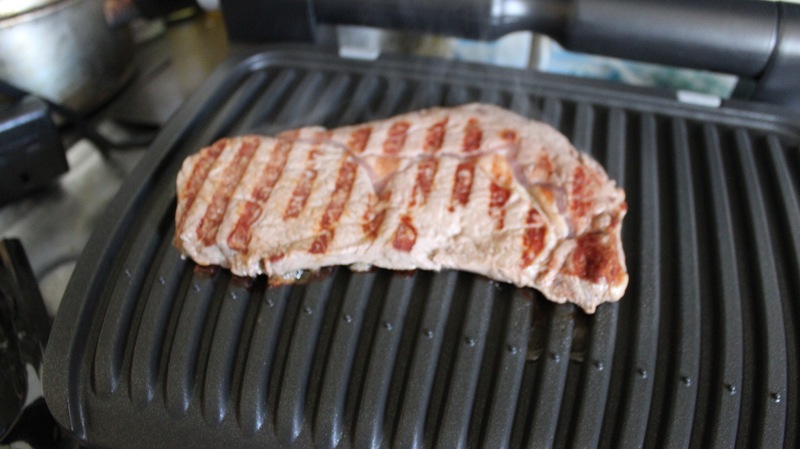 Cooking steaks needs a lot precise timing skills, taking into account the cut and thickness of the meat. 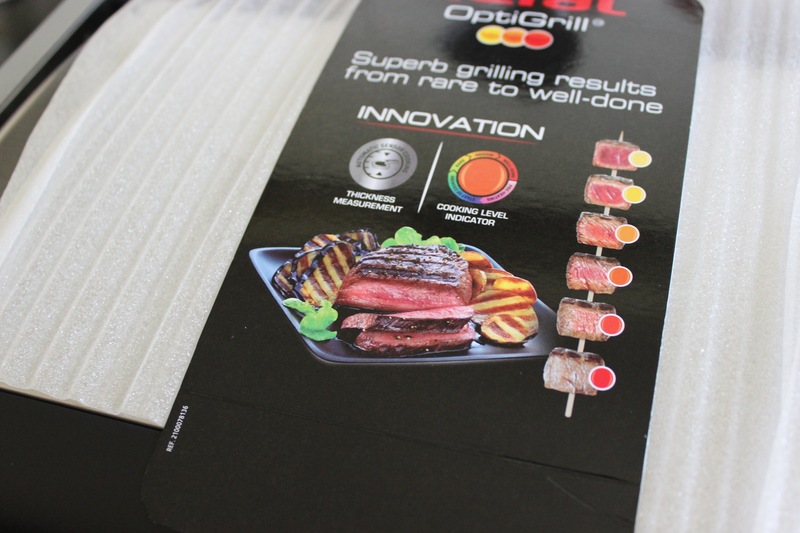 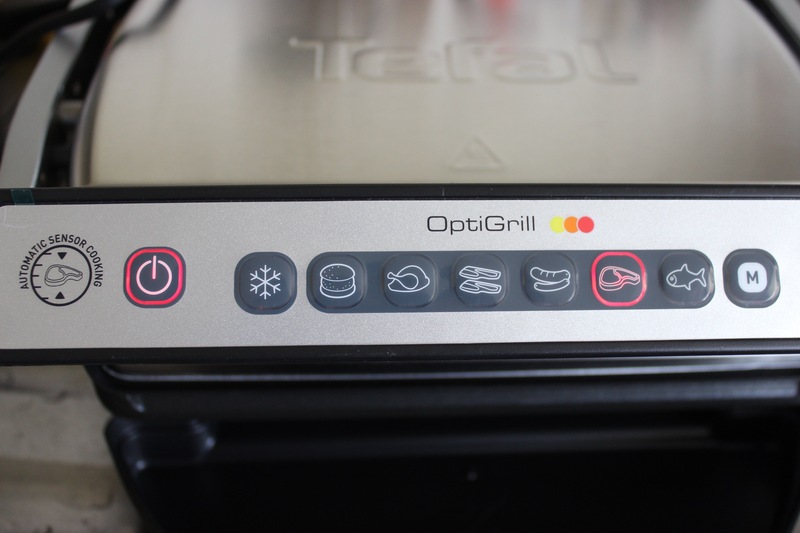 That’s where Tefal OptiGrill comes in, with it’s intelligent automatic sensor cooking. 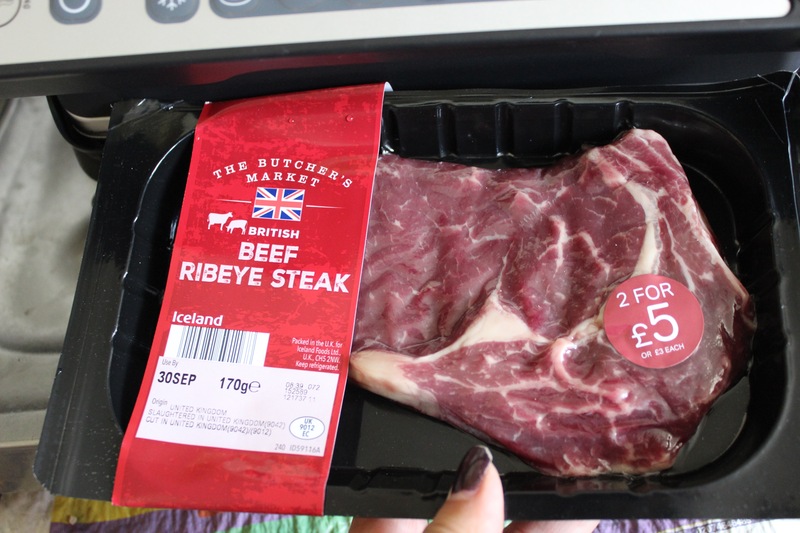 Depending how far you close or how many portions you put on the non-stick aluminium plates it will make sure it sears the meat into juicy perfection. 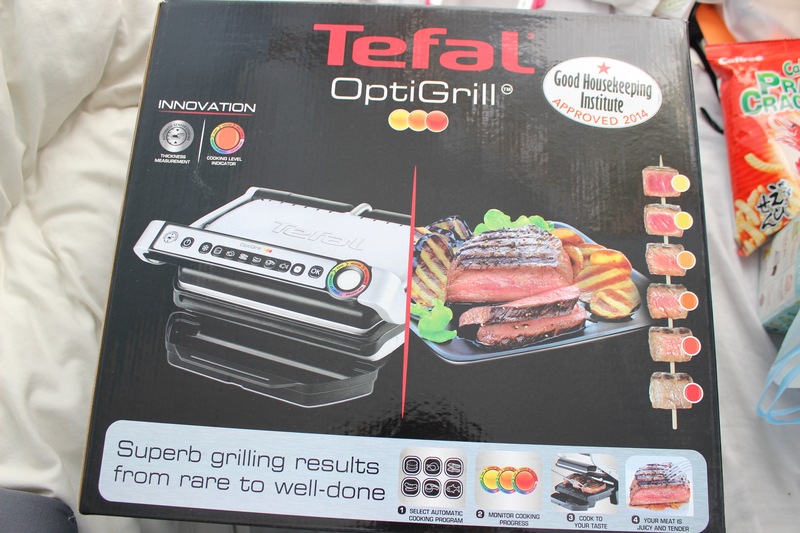 Tefal sent me a grill to put to the test. 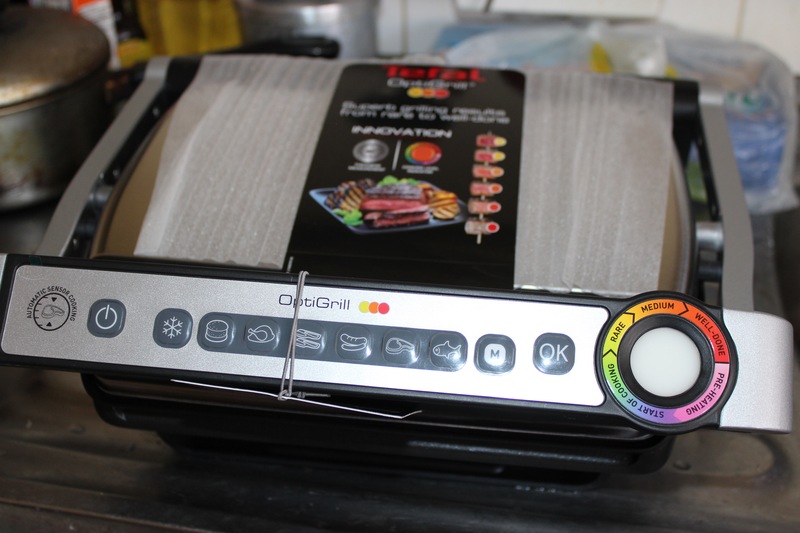 First impressions on opening the box, the actual OptiGrill is lightweight and easy to take out and set up, a quick glance at the manual tells me to give the grill a rinse before first use. 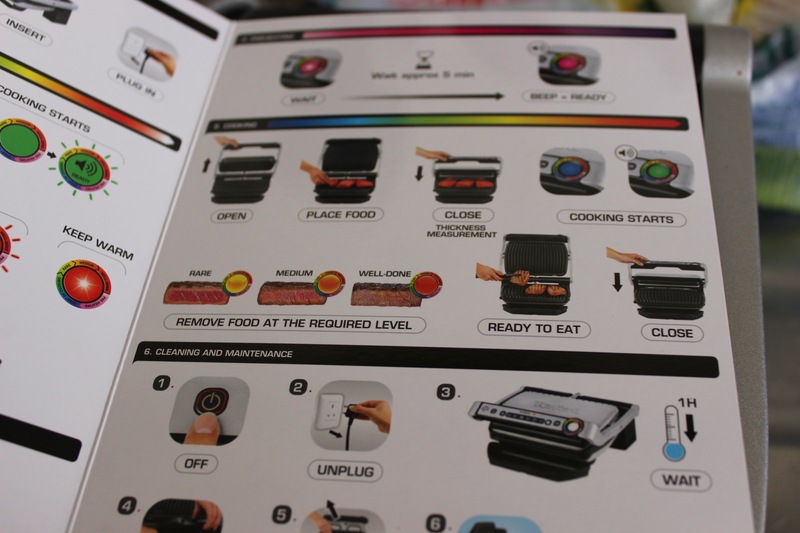 There are 6 specific automatic programs to choose from which adapts cooking time and the temperature for all kinds of food. 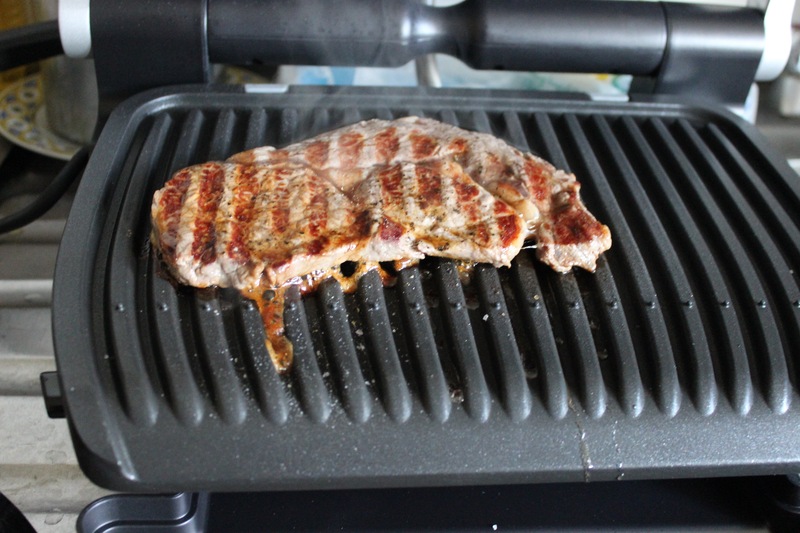 Once I’ve attached the drip tray I was all set to turn it on and test it out with a rib eye steak. 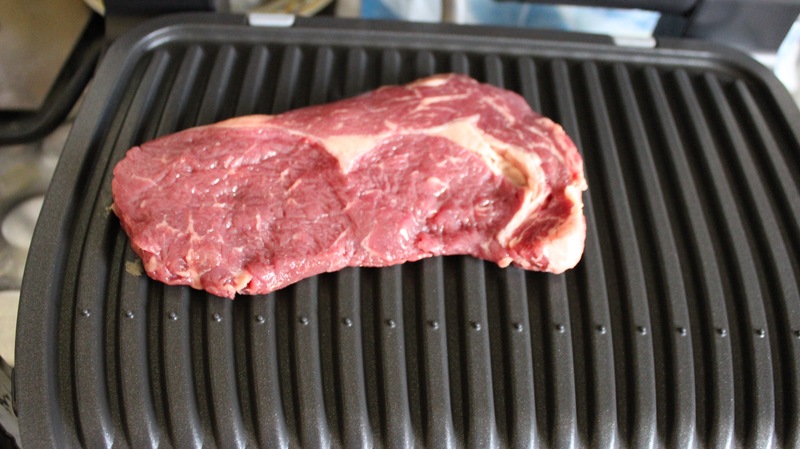 My rib eye steak was about 3-4 mm thick; you need to wait 5 minutes for the grill to preheat. 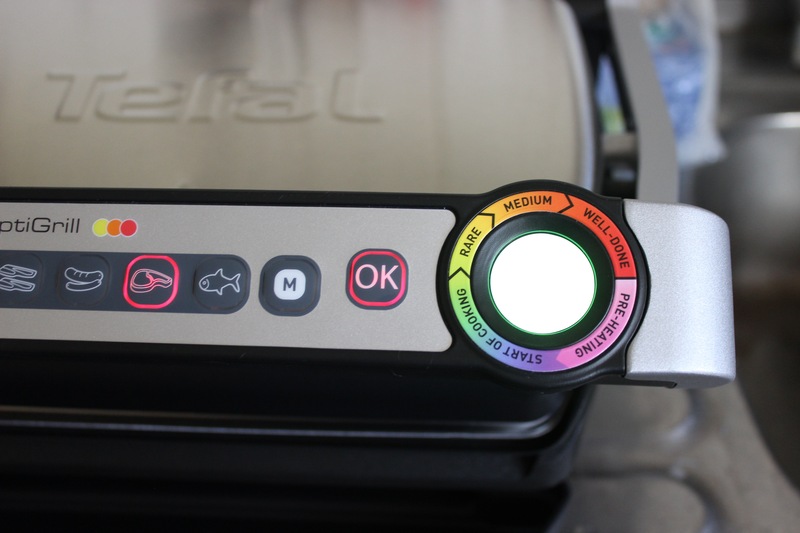 A bright colourful indicator on the front turns from blue to red beeping at different intervals telling your meat is done. 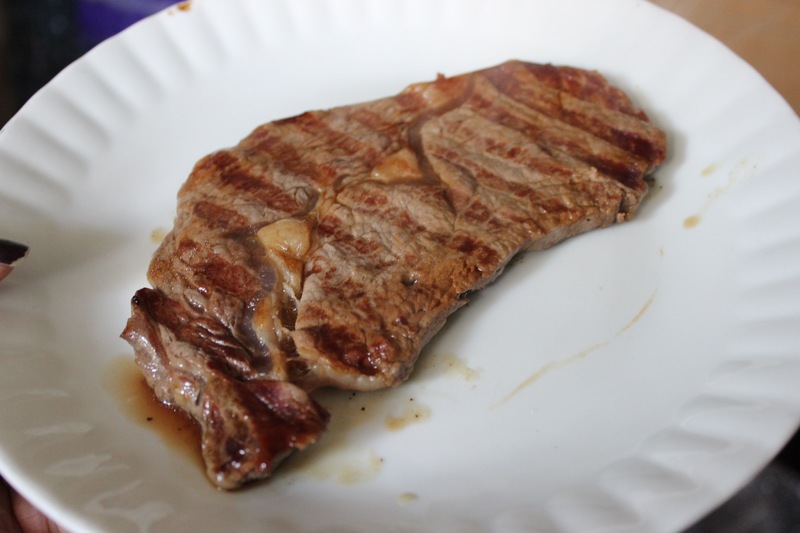 My preference in steak is medium rare; surprisingly the grill didn’t dry out my steak or overcooked it. 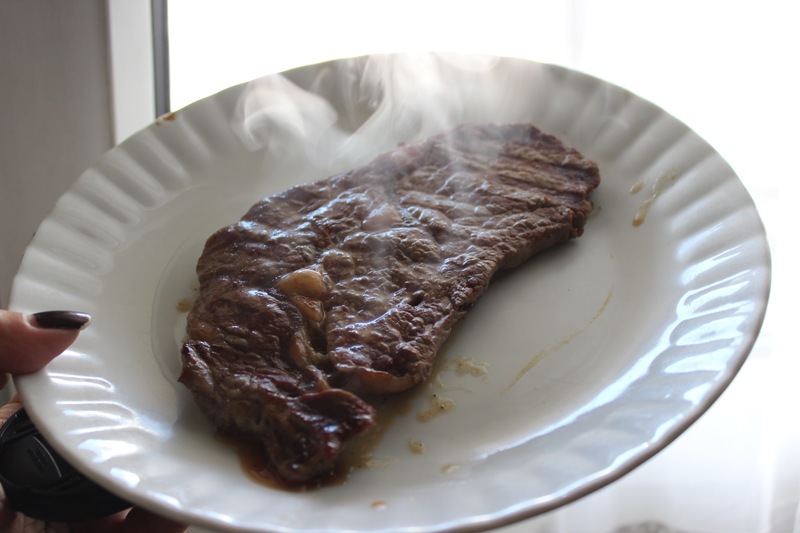 It bleeped at the precise moments where I can see my meat turning rare to medium pink. 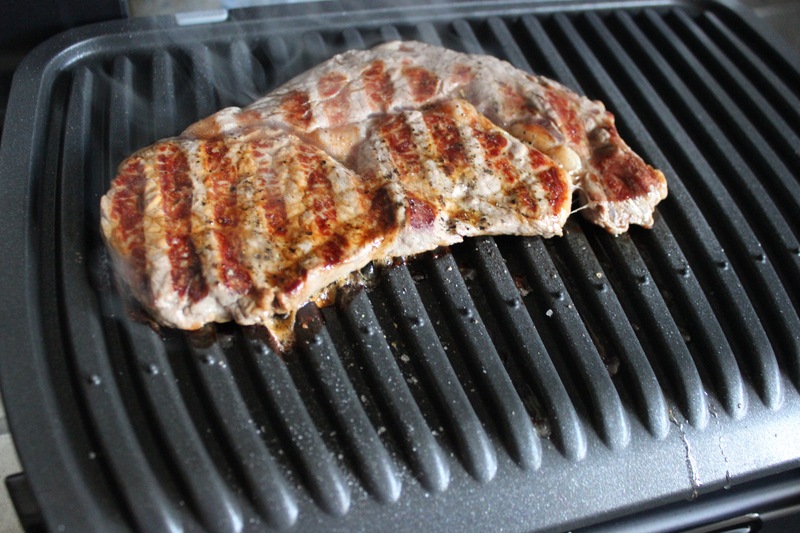 Meat juices fell into the drip tray for easy clean up. 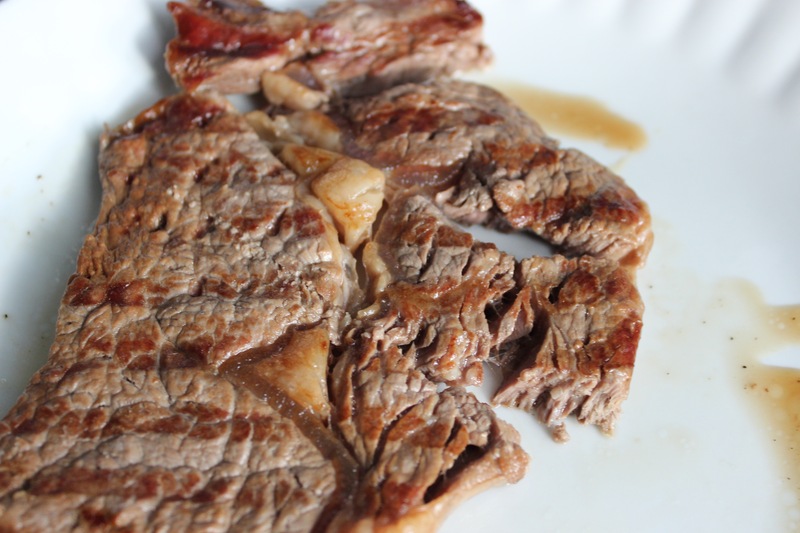 From the grill to my plate, good signs of a perfect steak are seeing juices still running from the meat. 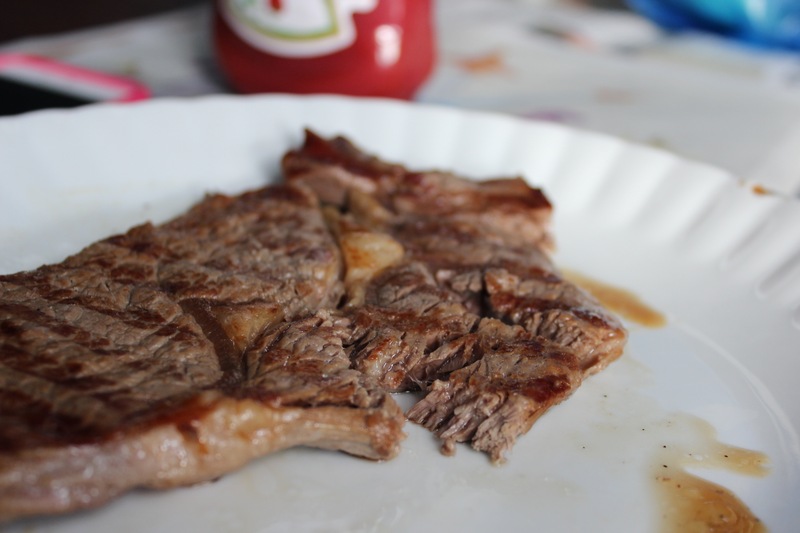 Meat could be easily cut without much effort, and true to the claims, it tasted tender. 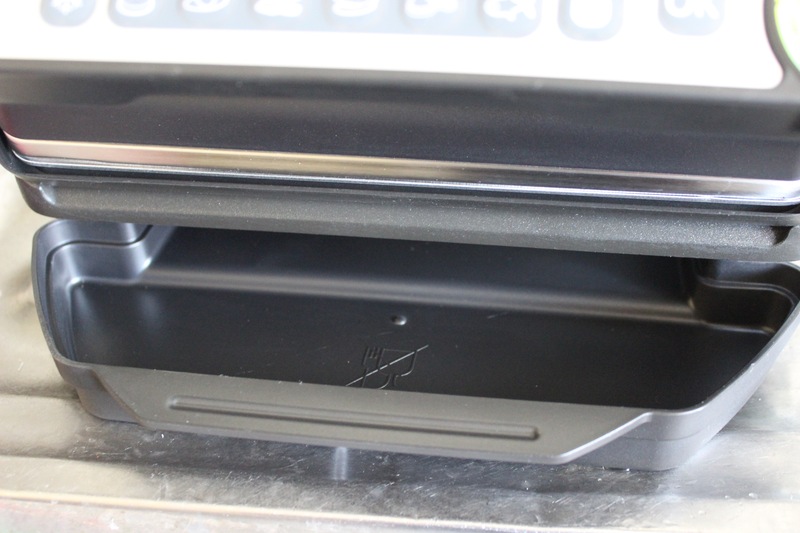 I did find it hard to clean in-between the grooves, but the plates are removable.